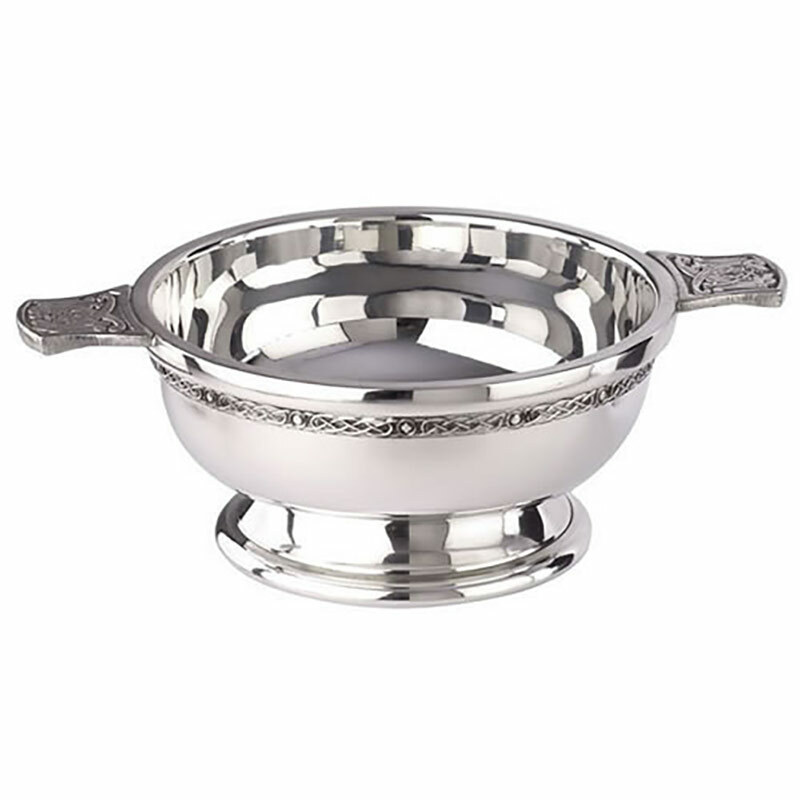 A quaich is a traditional Scottish ceremonial drinking vessel, and these 3in pewt bowls make outstanding corporate gifts or presentation items for any prestige event or ceremony. 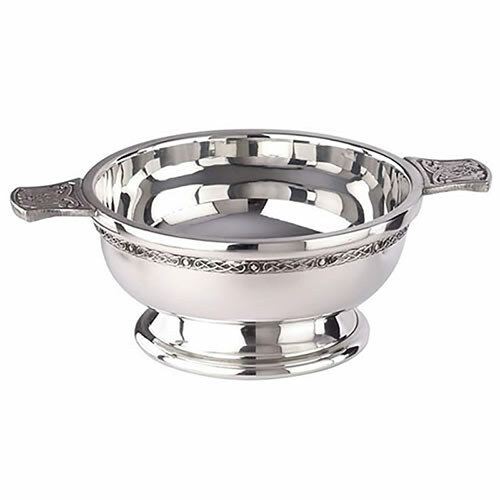 They feature a footed bowl, 3in in diameter and with a polished finish, with a celtic design decorative band and celtic knotwork design on the handles. These quaich bowls are offered with free engraving of text and logos, ideal for creating corporate gifts or merchandise for your event or presentation. Also available in 5in version.